The Mi’kmaq-Wolastoqey Centre (MWC) at the University of New Brunswick will host the first Indigenous Language Gathering Celebration: Nikana’tunej (carrying language forward) / Namkomihptune ‘Ciw Weckuwapasihtit (carrying language forward for the ones not yet born)” from Friday, April 5, to Sunday April 7, at the Richard J. CURRIE CENTER, UNB Fredericton. As 2019 is UNESCO’s Year of Indigenous Languages, the gathering will honour language teachers, learners and language carriers throughout the course of the three-day gathering. The focus will be on Mi’kmaq and Wolastoqey language revival, through language learning activities, language revival presentations, as well as celebration of language through song, dance, stories and much more. 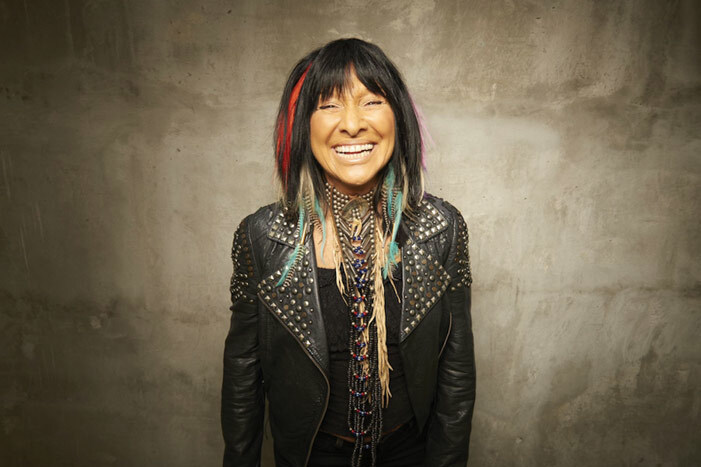 Iconic songwriter Buffy Sainte-Marie will be opening the gathering with a celebration performance on April 4 at the CURRIE CENTER. The doors for this performance will open to the public at 6 p.m. for an opening ceremony with UNB’s Elder-in-residence Imelda Perley and St. Mary’s First Nation Chief Allan Polchies Jr. Donations of food for Greener Village will be collected at the Buffy Sainte-Marie concert and each day of the Language Gathering in place of registration fees. Please stay tuned for a list of five items Greener Village requires for those in need in Fredericton. Please join us at this free public event as we celebrate traditional Mi’kmaq and Wolastoqey language revival.